Travelling to Hill Stations and Wildlife regions is on an increasing trend over the last few years. There are many best scenic spots that domestic and international tourists can choose to travel that make the region pretty crowded and noisy. Now we would like to show the place of peace and ecstasy where tourists can visit the past glories with lots of flora and fauna altogether welcoming them. It's none other than - Chail, which is named as tourist's paradise now-a-days due to adventurous activities that Chail accommodation service providers are offering. Fully covered with peaks of mountains with beautiful greenery on top of their head, it has the richest flora which also includes the huge trees of deodar and pine. Chail is the place that lies at a height of 2,250m above the surface level, and it was founded and made by Maharaja Bhupinder Singh, Maharaja of Patiala. He decided to make his own summer capital when he was restricted to enter Shimla. Chail is having the world's highest cricket ground (the World famous). Being the world's ideal tourist paradise to visit, it's enchanting and mesmerizing forest view overwhelms the tourists visiting to this pristine land of peace and greenery. It is one of the great travelling destinations for every adventure, and forest lovers with the perfect places to stay (resorts). Chail has several things in its pocket that keeps the tourist excited about the next. Every new traveller who flocks to this region hopes for something more ecstatic every time he revisits the place. Chail Sanctuary: Chail Sanctuary is one of the biggest areas covering with the Deodar and Oak forests along with grasslands around whole town. It covers around 10,854 hectares of area. 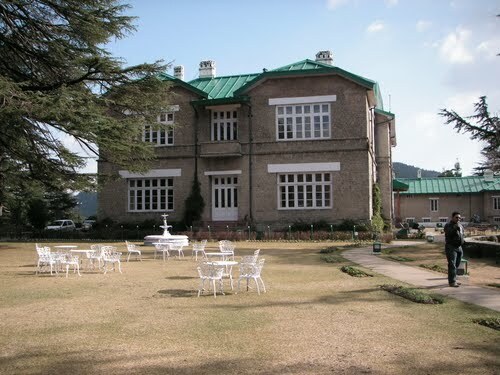 Chail Palace: Chail Palace is the Place of Royals, which accolades the past pristine culture of royal family Maharaja Bhupinder Singh, Maharaja of Patiala. 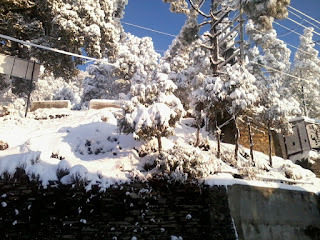 Now-a-days it is opened for all tourists to come and enjoy that. Cricket Ground: Built in 1983, the Chail Cricket ground is one of the highest cricket ground in the world. This cricket ground is located at the height of 2,144m, which is also used as Polo ground. 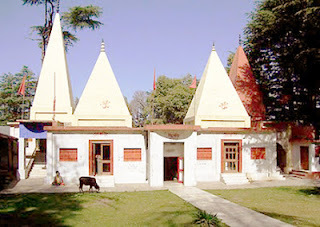 Sidh Baba ka Mandir: Sidh Baba ka Mandir was built by Maharaja Bhupinder Singh, who got a dream of a saintly person and declared that this was the place of his meditation after which he shifted his palace and built his temple on the spot. By Air: Jubbarhati airport is the nearest airport from Chail, which is located in Shimla (45km away), and another airport is in Chandigarh which is 112 km away, but it has regular flights to reach to. By Rail: Kalka railway station is the nearest railway station from Chail, and from Delhi, the Howrah-Delhi-Kalka express is one of the best train to reach to Chail. By Roadways: From Shimla, the drive to Chail is 43 km by bus via Kufri and 61 km via Kandaghat respectively. From Delhi, you can directly board NH1 to Ambala and NH 22 to Kandaghat. Regular Bus services and taxis are available. Have a great and happy Tour to Chail!! !